When it Rains | JustRunLah! The weather in Penang has not been conducive towards outdoor activities in the last few weeks. Thunderstorms and scary winds were a persistent feature in the daily lives of Penangites, peppered occasionally by blissful sunny day and clear skies. My usual running spots at the Butterworth Outer Ring Road beach trail and the Universiti Sains Malaysia’s (USM) Minden field had been inundated with water, with the former receiving water from both the high tides and the skies. I became an expert weather hunter overnight: I grabbed any lapse in the showers to lace up my shoes for any kind of run, depending on the immediate weather condition, rather than the target workouts for the day. I ran on the pavements and sidewalks of my hostel block and on the asphalt roads of the campus and the highway at my hometown to make up for the loss in mileage. Everything was somewhat on track, with the exception of the long run. I usually perform all my long runs on grass or soft ground to protect my knees. The current weather turned all fields into mudfests. 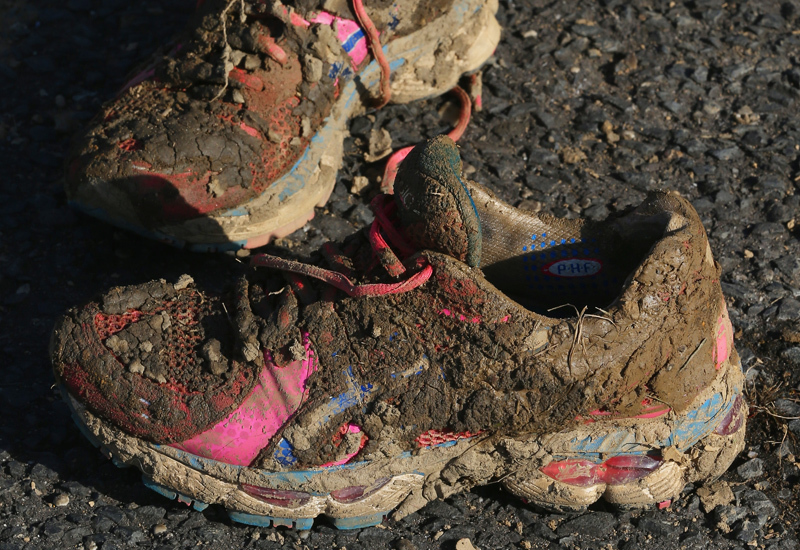 I have a compulsive dislike for immersing my running shoes in mud. Wet shoes I can tolerate, but never muddy ones. Skipping my long runs is out of the question, as I am currently training for the 2016 ASICS Penang Bridge International Marathon. So one day, with a heavy heart, I decided to perform a long run at the USM stadium’s track. The track was teeming with people as I arrived at the track. Coaches, protégés, students and outsiders were all making speedy circumambulations along the loops of the track, either by walking or running. My goal of the day was to run for one hour and 40 minutes. An acquaintance made his way towards me as I placed my water and isotonic drink at the side of the track. We exchanged greetings and pleasantries, and he asked my plan for the day. “Hey I just finished my long run too! I did 40 loops around the track in one hour and 30 minutes,” he exclaimed with pride on his face, as I laid out my workout plan. He then took his leave, and bade me farewell. As I began my run on the outermost loop of the track, my mind betrayed me by asking if I was able to match his pace and distance within the same period. And so I ran in the twilight, losing all feelings and thoughts, and focusing solely on my form and breathing. Halfway through the workout, an opportunist silently selected me as his pacer, to which I had no choice but to acquiesce to. We both trudged the outer 453-metre loop of the track together, using our footsteps and shadows as a guide to pace and maintain a distance from each other. 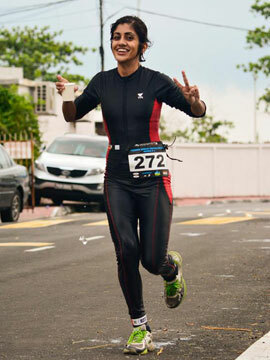 When I completed the long run, I saw that I had completed 41 laps within the time that I set for myself. A wave of disappointment crashed in my mind before I caught myself, and to my horror, I found myself assigning an excuse for the “slow” time: my friend is a guy, hence the quicker time. As I walked back to my hostel that night, I could not help but to reminisce my past life, and all the miles that I have ran in the last four years. I realised that a common denominator in all my activities is that I have never allowed a single excuse to stop me from doing anything in life. Heck, I went out of my way to do a long run on a hard surface as rain is not an excuse to not run. I paced another man, and completed my goal of the day: a long run in the stipulated time. Why should I undermine myself now?